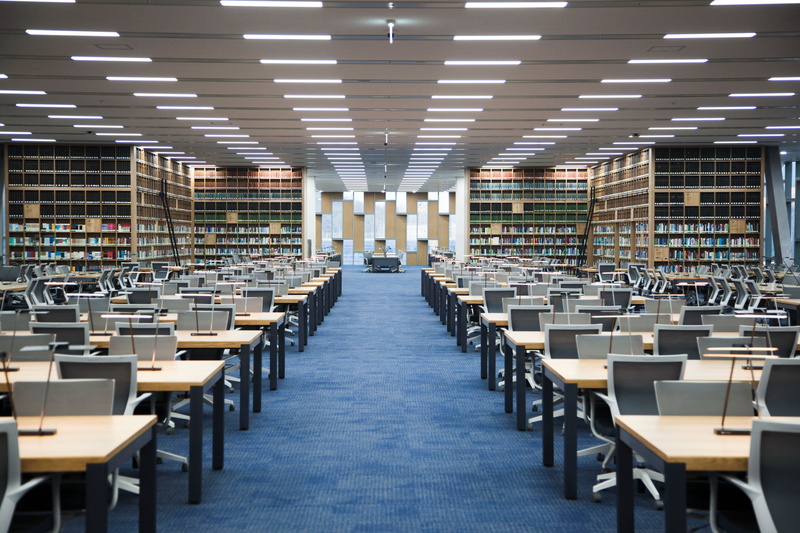 Seoul National University Library holds the largest collection of books among university libraries in Korea. Located at the center of Seoul National University campus, the Library is consisted of two buildings: the main building and a newly-built library, Kwanjeong. 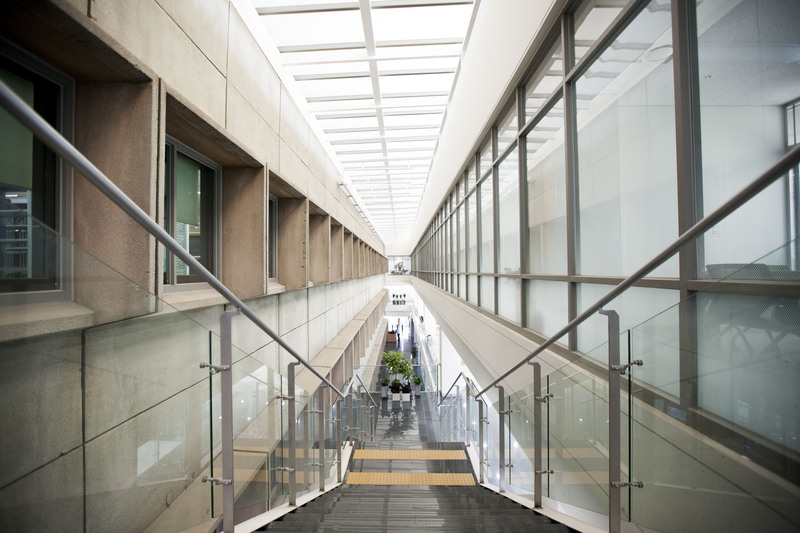 The main building provides resource-oriented service, while Kwanjeong houses high-tech, user-friendly facilities. 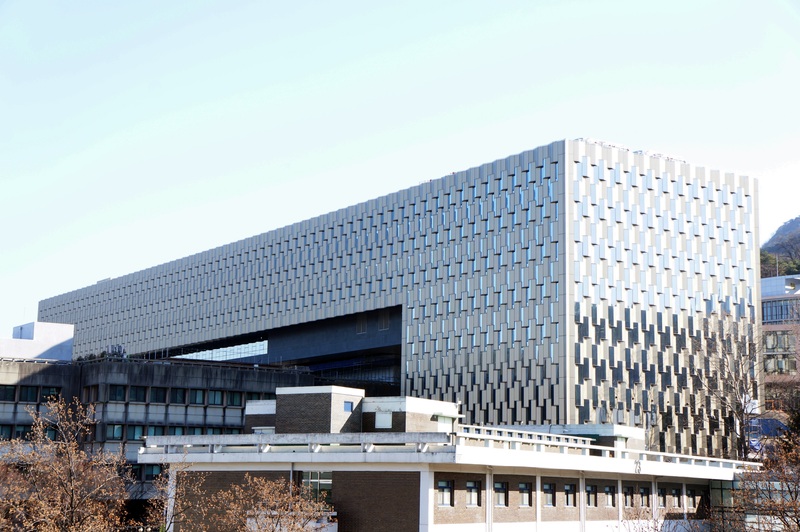 The two buildings together create the optimal environment for the Library users. For the first time in Korea, a steel truss lifting & sliding technique was used to build Kwanjeong, allowing the space to be created without pillars (from 6F-8F, 112.5M×30M). The Reading Rooms take full advantage of the open space structure. Outer walls of Kwanjeong represent the present and future of Seoul National University. Simple triangular patterns and lines that are repeated and overlapped on the walls’ surfaces portray the rich imagery of continuously changing light and color through the passage of time. Located on the top of the six story main building, the Rooftop Garden overlooks a fantastic view. Amounting up to 7,273 square meters, the Rooftop Garden is fully utilized to serve as a resting place. The Garden is a nature-friendly place reserved for SNU students and faculty. Mainly, the intersection allows for the movement between two buildings. This intersection, however, bears extra significance as it is where the old and the new of the SNU Library cohabitate. The design of the intersection connects the main building’s outer walls directly with the interior of Kwanjeong. It also allows easier management and access between the two buildings. DVDs are available for viewing in the Multimedia Plaza. The Multimedia Plaza is home to 17,864 DVDs, including the most popular DVDs among Seoul National University students, 3D and blue-ray movies. It has a seating capacity of 92 people, with chairs ranging from single seat to four seats. ‘Friends of the SNU Library’ is a fund-raising campaign launched in March 2012 to secure funds for the construction of the Kwanjeong. A total of 840 SNU alums, faculties and staff, students, and the public have participated in raising 70.7 billion won. The interior space and the furniture of the Group Study Room, Carrels, Reading Room chairs and desks have been purchased with the generous donation to the ‘Friends of the SNU Library’, and we sign the names of the donors on the plaque for the donated space and furniture.